TB has existed in India for several thousand years. This page covers the history of TB in India from ancient times until the end of colonial rule and the coming of independence. 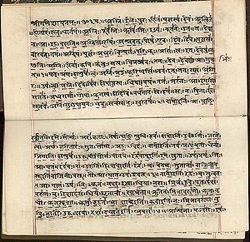 Then from around 500 BCE there are a number of Sanskrit manuscripts which are the texts from which the Ayurveda system of general Indian medical practice is derived.2Wujastyk, Dominic “The Roots of Ayurveda”, London, Penguin Books, 2003 In at least one of these there is a group of diseases referred to as Sosha. A subsequent important compendium on Indian medicine is the Rogaviniscaya, usually referred to as the Madhavanidana, and one of a number of commentaries on it is the Madhukosa. Neither the date of the Madhavanidana or the Madhukosa is absolutely clear but both are likely to have been written around 800 - 1000 CE. "It is a generally received error that pulmonary disease in India is rare and readily cured." 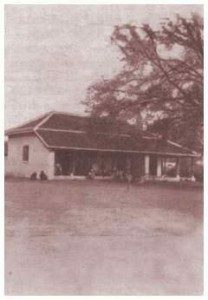 Conwell, a respected surgeon, also said that he had “participated in the misunderstanding” before changing his mind on his return to India with an improved means of physical examination through the use of a stethoscope. He had also been able to observe the occurrence of TB more widely. A sanatorium for “consumptive girls” was opened at Tilaunia between Ajmere and Phalera by the American Methodist Episcopal Church in 1907.10Stock, E “Beginnings in India”, London, Central Board of Missions and SPCK, 1917 anglicanhistory.org/india/ It was particularly meant for girls from the boarding schools and orphanages in Northern India that were connected with the mission. Cases of advanced consumption were said to be welcomed, and then segregated, rather than being turned away as they were from some other sanatoria. "The registered causes of death are always very misleading, with the heading ‘fever’ representing tubercle of the lungs, … and indeed, all the so-called medical diseases, except diseases like cholera and smallpox." The Indian Research Fund Association was created by the Government of India in 1911. A sum of 5 lakhs rupees was provided by the Government as an endowment for research in connection with the Central Research Institute in Kasauli. At the first conference discussion of health issues was dominated by the “so called tropical diseases of plague, malaria, cholera and dysentery”. However, it was noted that according to a recent report published by Dr Turner, Health Officer of Bombay, the mortality from TB in large Indian cities like Calcutta and Bombay was already considerably higher than in Glasgow, Birmingham or Manchester in the UK. "Tuberculosis is vigorously pushing its way through the crowded streets and lanes of the populous city of Calcutta and no step has yet been taken to resist its course. … we have hopelessly failed to stamp out Tuberculosis. … roughly speaking nearly one-eigth of the total number of deaths in Calcutta is due to this cause.20East India (Sanitary) “Progress of Sanitary Measures in India”, London, His Majesty’s Stationery Office, 1912"
At the second conference there was increasing discussion of TB and differing views were expressed as to the measures that should be taken. The measures discussed included the formation of anti tuberculosis societies, the establishment of more sanatoria, the establishment of dispensaries, the improved ventilation of homes and schools, improved sanitation in towns as well as villages, as well as the use of tuberculin. and it was also said that a full and thorough enquiry was desirable because of this uncertainty about the levels of the disease. At the third conference there was again discussion as to whether the increase in TB in India was real or not, and again discussion about the preventative measures that could be taken. One of those who spoke about preventative measures was Dr Lankester, who was the Honorary Secretary of the Medical Missionary Association of India, and who was from the Church Missionary Society at Peshaware. 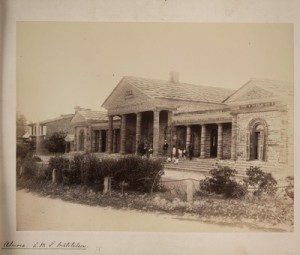 In 1892 Dr Arthur Lankester went to India as a medical missionary to take charge of the Church Missionary Society hospital at Amritsar, and about two years later he went to Peshawar. His enquiry into the situation regarding TB in India was carried out between July 1914 and June 1916. He travelled throughout India speaking to many people and obtaining information and advice. He visited many different institutions including hospitals, dispensaries and sanatoria. With regard to the prevalence of TB he came to the conclusion that in certain areas the prevalence of TB had certainly increased, whereas in other areas the supposed increase was largely a myth. He also investigated the social aspects of the disease, including those habits such as spitting, which he believed helped to spread the disease. The administration of the Fund was handed over to the Indian Red Cross Society for anti tuberculosis work in India. The main activities of the fund were organising an education campaign, the training of TB workers and the organisation of TB dispensaries.